Matheson Hammock Park Beach continues to be one of the more popular attractions in Miami. While vacationers tend to love this spot, many of the areas locals also regularly go to these facilities. Whether it is for a special occasion or just to have fun with family, Matheson Hammock Park Beach offers many activities and recreations for people of all ages. Unlike other travel destinations, the park offers reasonable admission rates and many amenities. As a matter of fact, entrance fees are only $5.00 per car, $10.00 per RV, and $12.00 per trailer. In the event of undesirable weather, picnic shelter is available for $160.00. This is really convenient with the capacity to hold up to 100 people, especially for events such as weddings and family reunions. The beach is open from sunrise to sunset, which is perfect for the early bird or those who like to rise a little later. 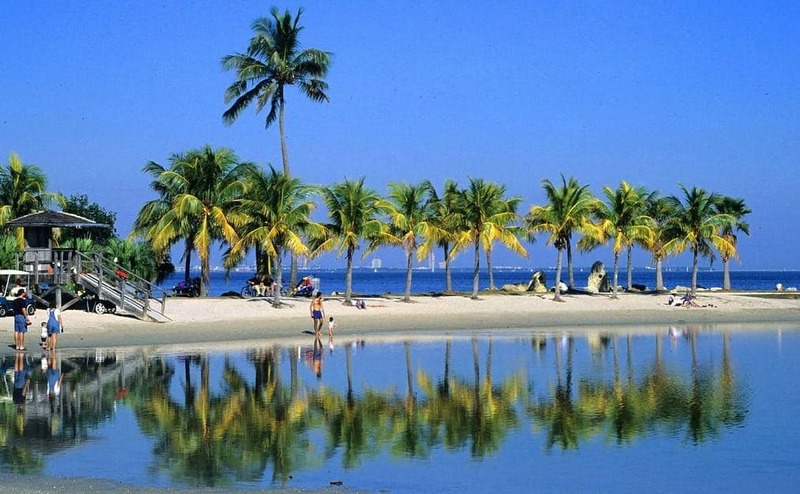 Matheson Hammock Park Beach offers many attractions to their guests. This includes a man made pool and several recreational activities to pick and choose from. Nature lovers and even those just looking to get a way will find that this beach has something to offer them. There are walking trails, a full service marina for visitors interested in boating, and multiple dining opportunities at the park. However, one of the most interesting things at the park is the coral building. This historic building is constructed of rock and houses many of these attractions. In addition to this, it is also equipped with two boating schools, specializing in both power boat and sailing instruction. Although there are many different beaches and parks to choose from in the Miami area, this particular location is breathtaking. From the natural beauty to the serenity of the park, there is something for everyone to enjoy. The beach is family friendly and offers a view like no other location.